Just Listed :: Charming Brick Ranch in Great Location! Welcome Home! Here you will find the location and value that you’ve been looking for. The charming character of this home will never go out of style. 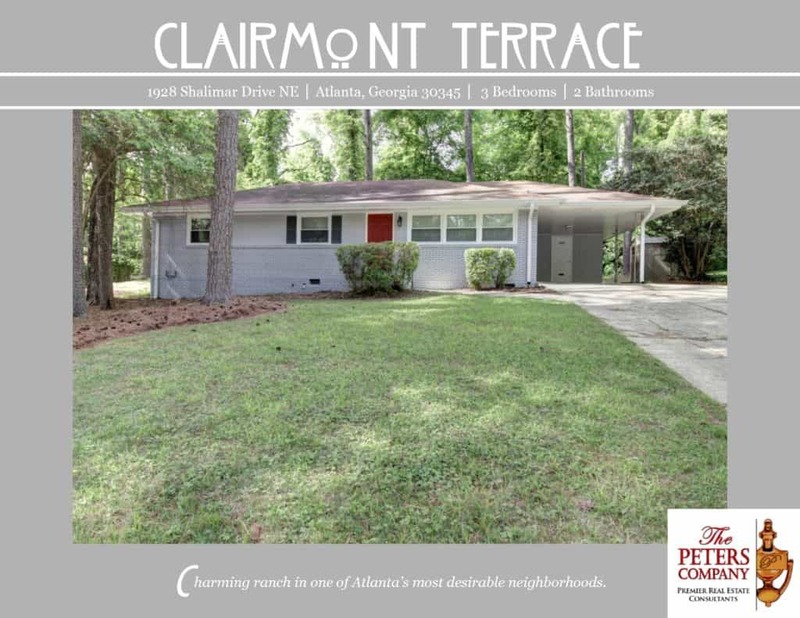 The close proximity to I-85, I-285, and Clairmont Road makes it convenient to and from any direction. Being in this popular area inside of the perimeter also means you can enjoy many nearby restaurants and shopping spots! · Thoughtful touches and custom features throughout. · Kitchen features ample cabinet and counter space and breakfast bar. · Spacious living room boasts neutral colors, crown molding, and recessed lighting. · Master suite is a true retreat including spacious closet and updated bathroom. · Gleaming hardwood floors throughout. · French doors lead out to a wonderful outdoor space that includes a patio overlooking the private backyard with storage shed. · Extra wide lot provides the space you’ve been looking for– tons of possibilities!